This summer we’ll be investigating the wild relatives of some of our most familiar vegetables with our ‘Really Wild Vegetable’ trial (as part of the Talking Science Project). All crops have been developed over thousands of years from wild plants. Many of the wild relatives of our familiar crops are still around today, although a few are now rare or endangered in the wild. Taste as determined by the growers! 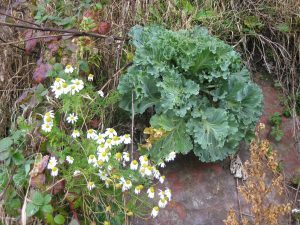 The trials will be conducted both at the Royal Botanic Garden Edinburgh by the Edible Gardening Project and by community gardening groups across Scotland. Girvan Community Garden, Good For Ewe, Whitmuir Organic Farm and Applecross Primary School are all taking part. 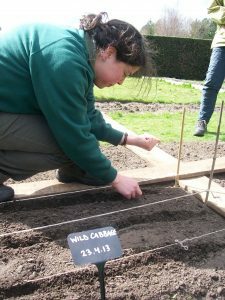 The Edible Gardening team at the Botanics started sowing the Brassica seeds last week – watch this space for project updates over the summer.